Despite the new 2030 energy policy and climate change action plans, government targets will not be met if current trends continue, especially in the transportation sector. A new overall approach is required. 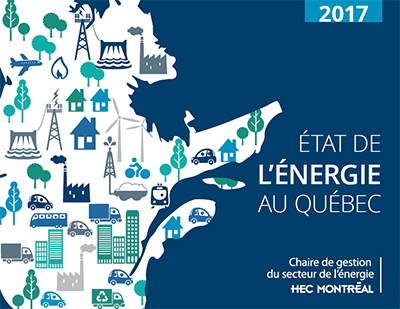 This is the main finding of the 3rd edition of État de l’énergie au Québec, an annual overview of the state of energy in Quebec, published by the HEC Montréal Chair in Energy Sector Management, summarizing the latest energy sector data. Some telling findings: the transportation electrification strategy has had little impact on Quebeckers’ growing preference for heavy vehicles that use more fuel, produce more emissions and are difficult to electrify. The data show that the number of light passenger trucks, including sport utility vehicles and vans, rose by 195% between 1990 and 2013. Moreover, truck sales exceeded car sales in Quebec for the first time in 2015, with Quebeckers spending close to $9 billion on new trucks in 2015, compared with $5.7 billion on cars. In general, all regions of the province saw an increase in the number of vehicles per 1,000 inhabitants and a higher proportion of large vehicles. The Gaspé region takes the prize for having the largest number of vehicles, with 711 per 1,000 inhabitants, as compared with the Quebec average of 556. The Nord-du-Québec, Côte-Nord and Abitibi-Témiscamingue regions are the only three regions where light trucks account for more than 50% of vehicles. By way of comparison, the proportion in Quebec as a whole is 36%, up from only 30% in 2010. There were only 11,619 rechargeable electric and hybrid vehicles in 2016, or about 0.2% of personal vehicles in Quebec. In addition, only 7,300 recharging stations have been installed, although the government plans to put 100,000 rechargeable electric and hybrid vehicles on the roads by 2020.